Happy Autumn! Hey guys, it's that time again. 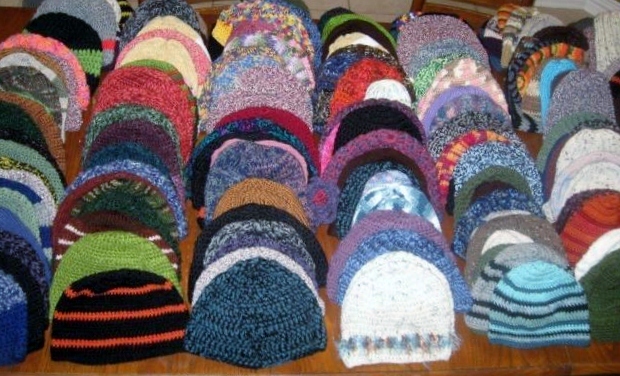 Every year I crochet and donate hats and scarves to underprivileged children and families in our area...and there are LOTS of people in need. We have entire families and folks of all ages who have no shelter all winter long. Yes there are churches and the Salvation Army and places like that to help, but my understanding is that they can only help at night or during winter emergencies. The rest of the time these people must fend for themselves out in the cold elements. So its not much, and I don't have much, but I do what I can. Every year I ask for help from the local community but response has been dwindling over the last few years. I am hoping that this wonderful community would like to help. All we need is yarn..that's it...nothing more. 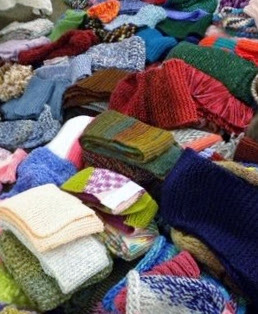 IF YOU HAVE any Unwanted Unused Yarn that you are willing to DONATE please CONTACT ME. Thanks you so much. You rock!